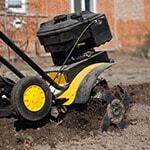 Home » How-To Library » Is Buying a New or Used Tiller Worth It? Whether you’re a gardener or a small-scale farmer, it means that you’re a planner. When seed catalogs arrive in your mailbox months before spring, it doesn’t surprise you, because you anticipated them for weeks. Crops aren’t the only detail you’ll have to plan, though. After taking stock of the tools you need for the upcoming year, you need a garden tiller that works. Just like seeds, your tools are an investment of your time and money. If you’re like most people, you’re tired of renting or repairing tools. 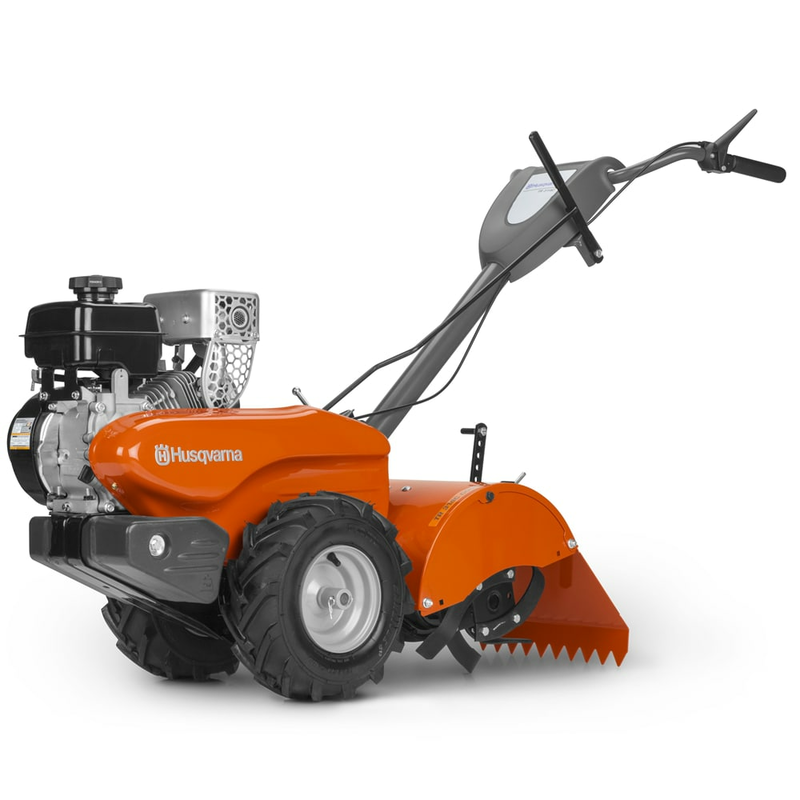 But there’s a question we hear often from the lawn and garden planners we know: Should I buy a used or new rototiller? For gardeners and farmers, the most important question to ask applies to both new and used tillers: What are you using it for? Rear-tine tillers provide a lot of power. Because the wheels pass over the soil before the tines do, these tillers compact the soil less. They’re great for improving the soil in large plots and breaking ground in plots being tilled for the first time. Front-tine tillers tend to be smaller and lighter than rear-tine tillers. That makes them better suited for tilling small plots and working compost and other amendments into soil that’s been tilled before. Cultivators help stir and aerate soil and remove weeds from your garden plot. They’re ideal for maintaining or improving soil at the start of or during the growing season. Many gardeners prefer to till or cultivate their soil annually. When it comes to tackling tasks on a regular schedule, there’s a sentiment we’ve heard: Having the tools for the task ready makes the work less of a burden and more of a joy. Buying a tiller allows you, the planner, to be ready to enjoy healthy garden soil every year. Whether you buy either a used tiller or a new tiller simply depends on your needs. So, let’s explore whether buying new or used is worth it for you. When shopping for used tools on an online marketplace, you can never truly know the condition the piece is in. If it's broken, the cost to ship it back might not be worth the purchase. Additionally, in either case, your selection will be limited to what’s available on the market at the time, so be careful to choose only the kind of equipment you need. If you’re looking for a lightweight tool to help you weed your modest vegetable garden, you won’t be satisfied with your purchase of a rear-tine tiller. Once you’ve found a used garden tiller you like, you can contact the seller to learn more about it. Inspecting the tiller is easier in person. If you’re talking with an online seller, you’ll have to rely on any information the seller can provide, including photos, to help you decide whether to make the purchase. Don’t be afraid to ask questions about any of the parts listed above. The problems on a used tiller might be readily visible, like broken tines, or they might be harder to see, like a worn spark plug. Any of the signs of damage listed above could be a reason why a seller is giving up his or her tiller in the first place. That doesn't mean that buying a damaged tiller is necessarily a bad idea. Even if you choose not to repair the tiller, the seller might offer it for a lower price or even for free. You then can use it as a collection of spare parts to fix the tiller you eventually do buy and use. Once you’re satisfied with the condition of the tiller and the price the seller’s offering for it, you’re ready to make a purchase. A purchase of a used piece of machinery is no small event. It requires a leap of faith. That leap is easy to take when you’re paying money to someone you know, like a family member or trusted neighbor whom you can hold accountable. If you’re buying your used rototiller from an online seller, make sure that your leap is supported by a verified, reputable payment system. If you’ve bought your tiller from a local seller, make sure you’ve considered how you’ll get it home—either in your own vehicle or, if your vehicle is small, in a rental truck or van, or with the help of a utility trailer. If you’ve bought your tiller from an online seller, make sure you’ve factored the cost of shipping into the price you pay, and check that you’ll be able to track your shipment. Like the other steps in buying a used tiller, transporting your tiller takes time and effort. Once it’s done, however, you have a tiller that you can take home and begin to repair (perhaps after doing a little research on maintenance) so that you can eventually get to work. Unlike buying a used tiller, buying a new tiller from a retailer offers one clear advantage: You’re getting a tool in guaranteed pristine condition, one that gives back and will last you for years. Retailers that list new tillers for sale offer plenty of tiller models—and usually will have several of each model in stock. Take advantage of the wide selection to choose a new tiller that meets your exact specifications and needs. Remember: rear-tine tillers, front-tine tillers, and cultivators are not all the same! A few hundred dollars on garden equipment is a large expense to consider. However, because of how quickly prices change in the resale market, the price of used rototillers and new rototillers often turns out to be the same. Additionally, retailers that sell new tillers are able to negotiate and work directly with vendors and manufacturers to provide you with sales and factory direct deals throughout the year. New tiller retailers usually have shipping options intended to make receiving your new cultivator or tiller easy and convenient. At Tillers Direct, we provide free shipping on most tillers and cultivators to the 48 contiguous United States. Products usually ship within a matter of days, and shipment tracking is provided for your peace of mind. Before buying your new tiller, take some time to see what forms of support the retailer offers. Even if you don’t use them, you might find that the peace of mind a customer support line or a series of how-to tips gives you makes buying a new tiller a worthwhile purchase. If the initial cost of new tillers still has you worried, but you find yourself even more concerned about the maintenance and uncertainty with used tillers, you have another option. 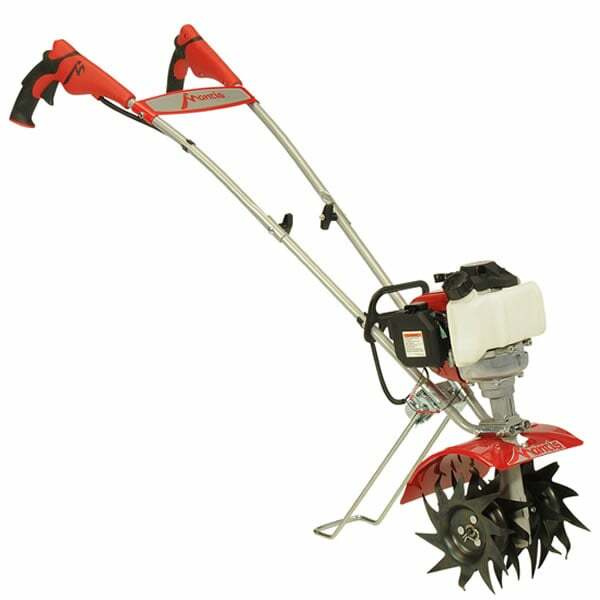 Tillers Direct offers scratch and dent tillers and cultivators. These tools have cosmetic damage but are still new and mechanically sound. Lucky for you, that cosmetic damage can save you a pretty penny. Is Buying New Really Beneficial? Buying any piece of equipment is an investment. Investments are tools for people who like to plan. With your own tiller, new or used, not only will you be ready to tend your soil whenever the need arises; you’ll be ready to watch your garden grow. And with a brand-new tiller in your shed or garage, you can plan to enjoy healthy garden soil for many years ahead. Forward-thinking gardeners tend to have the tools they need in place so that when it comes time to work, there’s no delay, no last-minute surprises, just hours to focus on the task at hand. Money might not buy you happiness, but having your tiller ready, season after season, just might. Is Buying a New or Used Tiller Worth It?.. Our Power Equipment Direct how-to library can help you learn about How to Grow Crops with Raised Rows or Beds, Proposition 65 Product Labeling and Sales Tax Information.